One of the most essential terms used by the Buddha in reference to developing wisdom and pointing out the path to Nibbana is the Pali verb “manasi karoti” especially in the phrase yoniso manasi karoti. ‘‘Cakkhuṃ, bhikkhave, yoniso manasi karotha; cakkhāniccatañca yathābhūtaṃ samanupassatha. Cakkhuṃ, bhikkhave, bhikkhu yoniso manasikaronto, cakkhāniccatañca yathābhūtaṃ samanupassanto cakkhusmimpi nibbindati. Nandikkhayā rāgakkhayo; rāgakkhayā nandikkhayo. Nandirāgakkhayā cittaṃ suvimuttanti vuccati. Practice yoniso manasi karotha towards eye-sight, o monks; See the impermanence of eye-sight as it manifests. When a monk, o monks, practices yoniso manasikara he sees the impermanence of eye-sight as it manifests, he will not find anything (fascinating) with regard to eye-sight. From the removal of delight comes the removal of fascination. From the removal of fascination comes the removal of delight. ‘When delight (nandi) and fascination/desire (rāga) are removed the mind is fully detached’ – thus I say. Now, what is manasi karoti in English? What does it mean? I would like to invite you to a little journey trying to “unlock” the meaning of this term and find out what implications this may have on our process of insight meditation as reflected in the earliest forms of Buddhist meditation. Let’s start with the first part, i.e. manas. Manas is an old Vedic word meaning “mind” (it is actually linguistially related to our “mind”) and is used very much in the same colloquial sense as the English “mind”. Manasi is the locative case of manas and therefore indicates that we would have to translate it literally as “in the mind”. Compound verbs are very common in Indo-Aryan languages, such as Hindi-Urdu and Panjabi, where as many as 20% of the verb forms in running text may be compounds. For example, Hindi निकल गया nikal gayā, lit. “exit went”, means ‘went out’, while निकल पड़ा nikal paRā, lit. “exit fell”, means ‘departed‘ or ‘was blurted out‘. As you will see, in this particular instance the Buddha uses a very similar Pali construction himself. 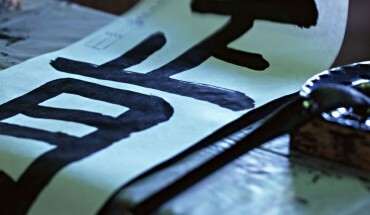 The second part of manasi karoti is the verb “karoti“, very frequent in Pāli as it simply means “to do, to make”. …I will teach you. Listen to that, keep in mind well (sādhukaṃ manasi karotha), I will talk. Majjhima Nikaya, 1. Sutta, many others, very freq. So here you can see how it is used. Very straight forward, very simple to understand. But wait! This still can give us a headache. Because here in this moment, you could tend to interpret the connotation of “keep well in mind” to imply a form of learning by heart, couldn’t you? Yes, but as you will see in a moment, that that idea (which is usually expressed by another Pali term called pariyāpuṇāti or uggaheti) is not meant here, when the Buddha wants his monks to “keep it well in mind”. Let’s have a look at the second example, slowly coming closer to the meditative implications this particular expression carries and you will quickly undertand why a correct understanding of this term can make many a Buddhist (Pali) text suddenly more profound than you would have expected. Idh’āvuso, bhikkhunā kammaṃ kātabbaṃ hoti. Tassa evaṃ hoti – ‘kammaṃ kho me kātabbaṃ bhavissati, kammaṃ kho pana me karontena na sukaraṃ buddhānaṃ sāsanaṃ manasi kātuṃ, hand’āhaṃ vīriyaṃ ārabhāmi appattassa pattiyā anadhigatassa adhigamāya, asacchikatassa sacchikiriyāyā’ti! Here, o friend, the Bhikkhu has some duty to attend to (kammaṃ kātabbaṃ – work to do). So this occurs to him: “I will do some work. 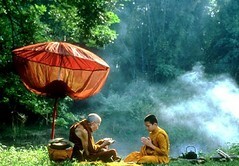 While doing a work it is not easy (sukaraṃ) to keep the Buddhas’ teaching in mind (pay attention to it). What if I were to arouse my energies to attain to what I have not attained to yet, to achieve what I have not yet achieved, to realize what I yet have not realized!”. 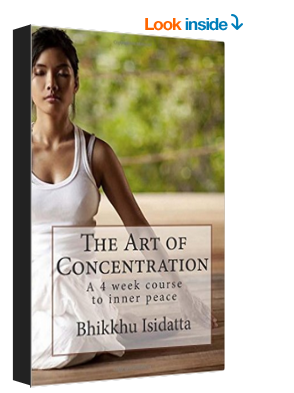 Yes, of course that is ([a form of] concentration) meditation! That was probably convincing enough. But, we are not done yet. On purpose we were looking only at places were the manasikāra appears without the “yoniso“, and adverb which the Buddha especially employed whenever he wanted to stress the insight-meditation character of using “attention” or “bringing it to mind”, manasikāra. So, what does yoniso mean? It is an adverb (yoni + so) from the noun yoni, which literally means womb. Idha, bhikkhave, bhikkhu paṭisaṅkhā yoniso cīvaraṃ paṭisevati – ‘yāvadeva sītassa paṭighātāya, uṇhassa paṭighātāya, ḍaṃsamakasavātātapasarīṃsapa- samphassānaṃ paṭighātāya, yāvadeva hirikopīnappaṭicchādanatthaṃ’. Urgency and the proper fight of the one filled with urgency regarding occasions which cause urgency. Bhumija, whoever recluses and brahmins with wrong, view, thoughts, speech, actions, livelihood, endeavour, mindfulness and concentration were to lead the holy life with attachment, it is not possible to attain some distinction. Were to lead the holy life without attachment, it is not possible to attain some distinction. Were to lead the holy life with and without attachment, it is not possible to attain some distinction. Were to lead the holy life neither with nor without attachment it is not possible to attain some distinction. What is the reason? Because it is not the right method to attain a result. Bhumija, it is like a man in search of oil, was to put some sand in a trough and while sprinkling it with water was to press it for oil. Even if he was to press it with attachment, without attachment, with and without attachment, neither with nor without attachment, he would not obtain oil. What is the reason? Bhåmija it is not the right method to obtain oil. ‘‘Tīhi, bhikkhave, dhammehi samannāgato bhikkhu diṭṭheva dhamme sukhasomanassabahulo viharati, yoni cassa āraddhā hoti āsavānaṃ khayāya. Katamehi tīhi? Indriyesu guttadvāro hoti, bhojane mattaññū, jāgariyaṃ anuyutto. With three, o monks, things equipped, a monk will often dwell happy and at peace here and now and his effort to eradicate the influxes will be properly/thoroughly aroused: With which three things? He is guarding the doors of his senses, he keeps restraint regarding food and he stays awake a lot. All of the above show, that yoniso has actually not really that much to do with thoroughly, even if we might embrace such a meaning just looking from an etymological standpoint. But that does not help us much, as we have to see the contextual meaning in which the word was used during the life time of the Buddha. The above situations show quite clearly that the contemporary idea of ayoni(so) or yoni(so) was one of “right/smart/correct/proper(ly)” vs. “false, wrong, stupid, improper(ly)“. Asubhanimittaṃ, bhikkhave, yoniso manasi karoto anuppanno ceva kāmacchando nuppajjati uppanno ca kāmacchando pahīyatī’’ti. An ugly object, o monks, properly keeping (it) in mind, the un-arisen sensual desire will not arise and the arisen sensual desire will disappear. Mettaṃ, bhikkhave, cetovimuttiṃ yoniso manasi karoto anuppanno ceva byāpādo nuppajjati uppanno ca byāpādo pahīyatī’’ti. avikkhittacitto dhammaṃ suṇāti, ekaggacitto yoniso ca manasi karoti. Therefore, if we combine our two pieces of information we get quite a rich new meaning. Especially when we apply it back to those passages where yoniso manasikāra is mentioned. Now, we hear the Buddha talk about the “correct application of attention”. It is all about keeping the right or correct things in mind. 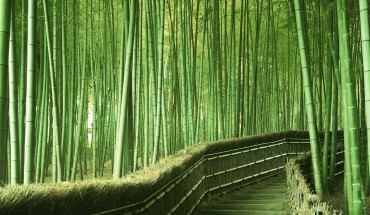 We see how this meaning is applied in many instructions clearly dealing with instructions for meditation. This is no different in the passage we quoted at the beginning of this post. Properly keep the eye-sight in mind, o monks; See the impermanence of the eye-sight as it manifests. When a monk, o monks, sees the impermanence of eye-sight as it manifests properly keeping it in mind, he will not find anything (fascinating) with regard to the eye-sight. From the eradication of delight comes the eradication of fascination. From the destruction of fascination comes the destruction of delight. ‘When delight (nandi) and fascination/desire (rāga) are destroyed the mind is fully liberated’ – thus I say. So, give it a try. Right here, right now. Move your attention from the content of these lines towards the process of seeing itself. Try too keep that in your mind, holding your observation right there. See how the seeing disappears, replaced by moments of thoughts, replaced by moments of hearing…Keep doing this as often as you can for as long as you can (nibbidabahulo) and you are on the right track to Awakening! This is a great post. However aren’t you overlooking something with yoniso? The -so suffix is called distributive and the basic meaning of yoniso is “according to origins”. 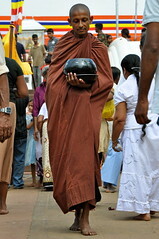 I like “keeping in mind” for manasikara, so I would look for a sense of “keeping origins (i.e. causes and conditions) in mind. Do you see that in these texts? Yes, if you look at many of my older posts, that is in fact how I personally had rendered yoniso before…One of the reasons for seeing the “origin/source/womb” semantics transpiring into translations was also my (still current) understanding of a more literal perception of “yathābhūta” – “as (it) has become” to imply a form of vipassana. So that is why until recently I thought, like you mention, for yoniso to imply something similar in meaning. “Use your attention to look at the source”. However, and I think we cannot overlook this point, language as a medium for communication very often does not have much to do with the inherent (original) meaning of a word in terms of etymology but we have to see how it is being used in a current context. So yoniso, and ayoniso seem to simply mean “proper” as in “the right direction” or the only possible because smart or proper way or method of doing. This in fact is also as Bhikkhu Bodhi translates it while for instance Karl Eugen Newman translated closer to the literal meaning “von Grund auf”. For instance, take the example in the Sabbāsava Sutta, where the Buddha contrasts the uninstructed “normal” person which would focus their mind improperly [it almost seems to say “on improper content”]: “Who was I, who will I become, etc. etc.” and compares attending to those thoughts (keeping them in mind) to the right/proper attention of an instructed student of the Buddha who would instead use mental labeling to (focus on the five groups of grasping) attending (keeping them in mind) like so: “this is dukkha”, “this is the source of it” … “this is how to overcome it”. 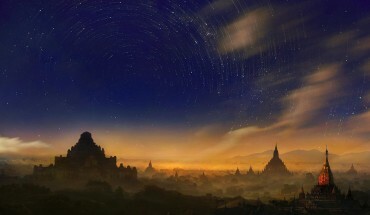 In his article discussing yoniso manasikara it becomes obvious that yoniso manasikara starts as an activity where the meditator is “reflecting” or “thinking along the lines” of Dhamma put to memory and finally, through evoking all kinds of wholesome mental qualities, leads to a deeper penetrative seeing and knowing which results in awakening. Especially the one passage in S I, 203 (http://theravadin.org/canon/s0301m.mul.html?s=yoniso%20anucintaya#para231) is very revealing – it examplifies how yoniso manasikara is done: and points to Buddhanussati and similar “anu-sati” meditations. I’ve found your posts are very helpful and thanks a lot for sharing them with us. Somehow the link you kindly provided is not working. I’d appreciate very much if you can copy that very revealing passage in S I, 203 that examplifies how yoniso manasikara is done. Would you be so kind to provide more sutta teachings on how to practice yoniso manasikara? While all right effort to cultivate sense restraint, moderation in eating, wakefulness (watching and cleaning the obstructive mental states – 5 hindrances), full awareness/clear comprehension, 4 establishments of mindfulness, Samadhi, 7 enlightenment factors, and panna (the observation of dependent arising/ceasing, anicca, dhukka and anatta) can be considered as yoniso manasikara, I tend to regard yoniso manasikara (as a factor to stream entry or as a training at the beginning of the path) as distinguishing what’s right attention and what’s wrong attention, arouse/develop right attention and avoid/abandon wrong attention; distinguish what’s wholesome/beneficial and what’s unwholesome/unbeneficial (not only to myself but also to others), and do so before/during/after each mental/verbal/ bodily activity. Your kind advice would be most appreciated. If it’s very important to our understanding of Yoniso Manasikara, would you mind explaining briefly it’s meaning? you will find a (hopefully) very interesting post on the topic of yoniso manasikara reflecting a little snapshot of my most recent understanding of this important factor on the path to Nibbana.